In 1948 the club held its first Derby. Until 1972 each was held at Ocean City but, in that year, the Club's 25th Anniversary, the Derby was held at Macuto, Venezuela, where we were guests of the Carrabelleda Yacht Club. 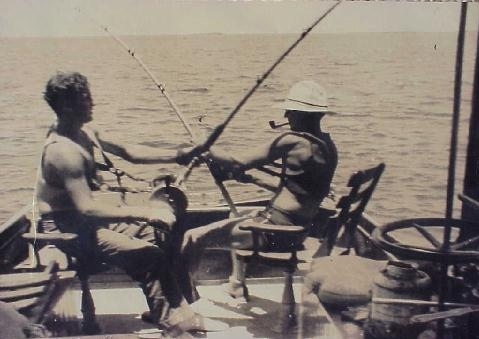 1973 found us, for the first time, at Oregon Inlet, N.C., and in 1974 and 1975 we fished in Cozumel, Mexico. Back to Oregon Inlet we went in 1976 and 1978. In 1977 we went, again, to Venezuela, holding our Derby in conjunction with the Venezuelan Annual International Tournament, which our own Barry Fitzpatrick promptly won. The "out of the country" tournaments proved so successful that in 1979 we ventured to Cabo San Lucas in Baja, California, a trip that produced few fish but is still considered as one of the best of all of our trips.